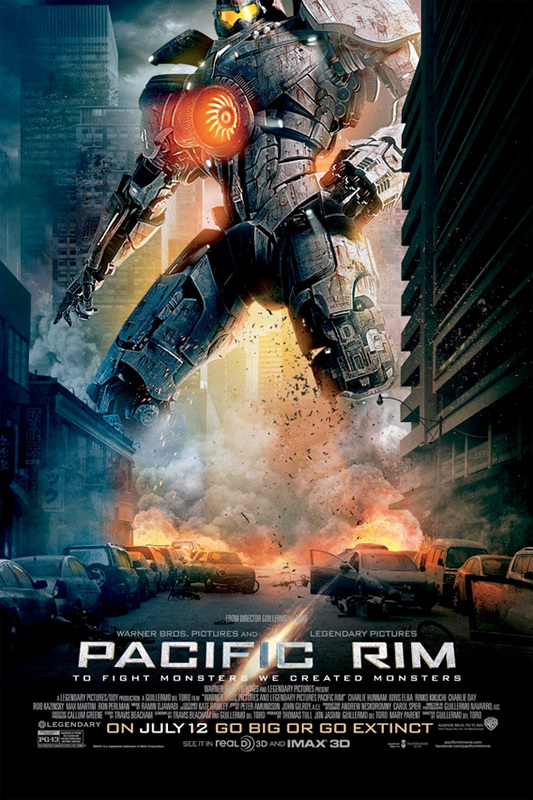 Though the film is still a couple of months away, there's no denying Pacific Rim is one of the biggest films of the summer, literally and figuratively. It's hard to get much bigger than skyscraper size robots fighting giant monsters across the country on the ground, in the sea and probably even up in the air. While we're waiting for a new trailer to show us more of Guillermo del Toro's summer action extravaganza starring Idris Elba, Charlie Day, Charlie Hunnam and more, a new poster has just shown up with a robot trying to hail a taxi or something in the city. Also, construction crews in that city are going to be rich. Look! I'm not excited for this the trailers haven't done much for me but seeing as Pan's Labyrinth is one of my favorite films and i did enjoy Hellboy a lot (both of them) there is no doubt in my mind I will be there opening night! And the Poster is neat. Agreed. I love Del Toro's films so i'll definitely be seeing it, but overall the trailers have done anything for me. Hoping to be pleasantly surprised! I think this is the only gypsy I wouldn't have second thoughts about getting inside. Loads. Personally, I can't wait for MONSTER. I loved that anime, and I know he will do it justice. I feel like an outcast when I say I am not hyped for this movie, not that I don't want to watch it, I just don't feel any sort of urge to watch it.... Yet I'm probably going to watch it anyways haha. You're not alone I'm the same way! When are we gonna see some Kaiju?Im sick of seeing robots every week! We want Kaiju!!! The Kaiju are likely being saved as a surprise for the finished film. I actually like that...sell us with cool robots, and then let us see the monsters firsthand in the theater. Just wait until we get the next trailer folks, this is going to be the film of the YEAR! Chris is my film fan idol! !